Hi! 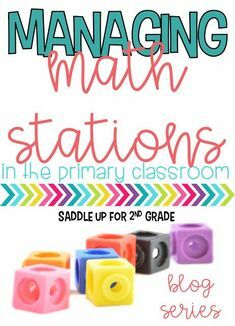 Welcome to part three of my blog series about teaching money in the primary classroom. 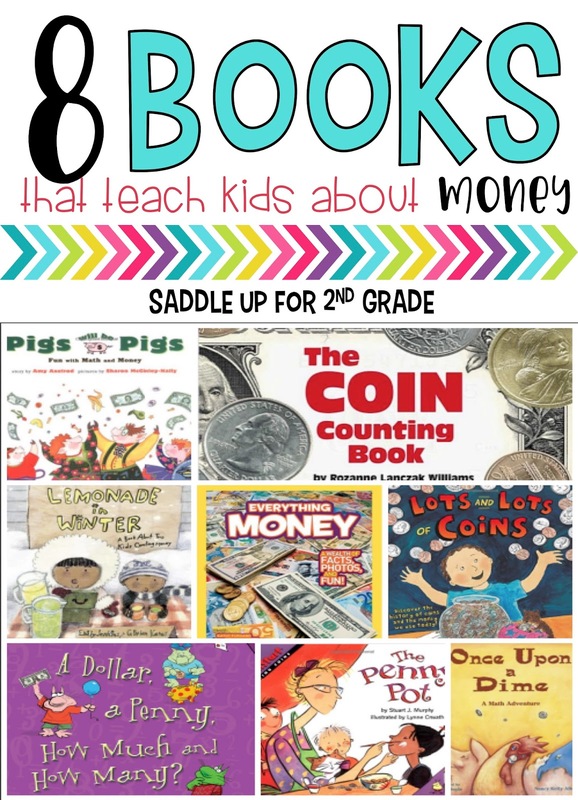 Today I’ll be sharing 8 books that you can use to tie in literature during your money unit. All books are suitable for primary grades. If you’d like to check out parts 1 and 2 of this series, please click on one of the links below. 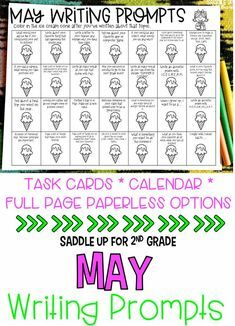 Be sure to read all the way to the end of this post for an exclusive freebie! I mentioned this book in part 1 of my money series. This book by Brian Cleary is perfect when it comes to introducing money. 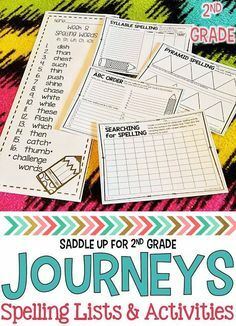 It has fun rhymes that are easy for the kids to relate too and shows different ways to make a dollar. The Coin Book is one of my favorites to incorporate during our money unit. I referenced it during my reinforcing money post. 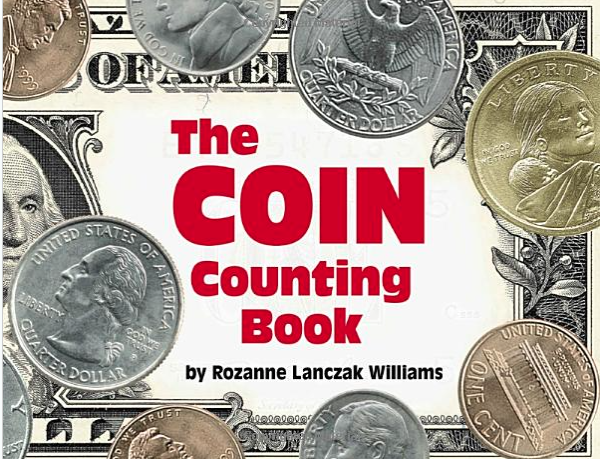 This book introduces coin values and shows you different combinations to represent different values. As you read further along into the book the counting coin value increases. 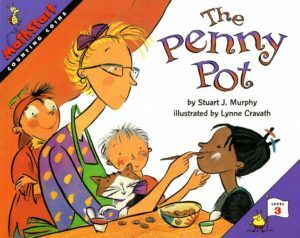 The Penny Pot is part of the Math Start series by Stuart Murphy. 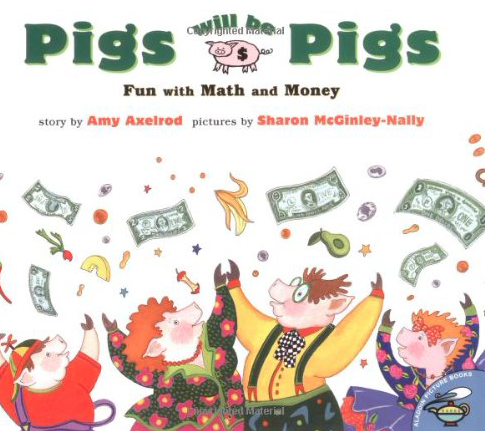 This book provides a real life situations while reinforcing concepts about money. It is an easy book for students to relate too. 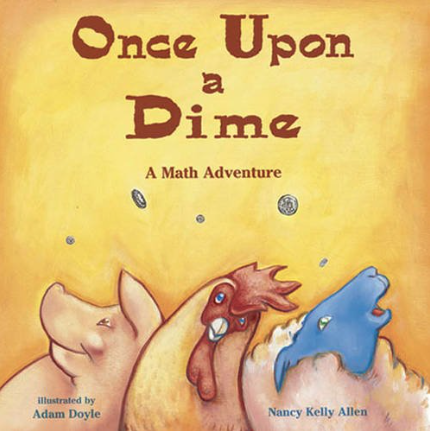 Once Upon a Dime by Nancy Allen talks about a farmer who discovers that money grows on trees at his farm. 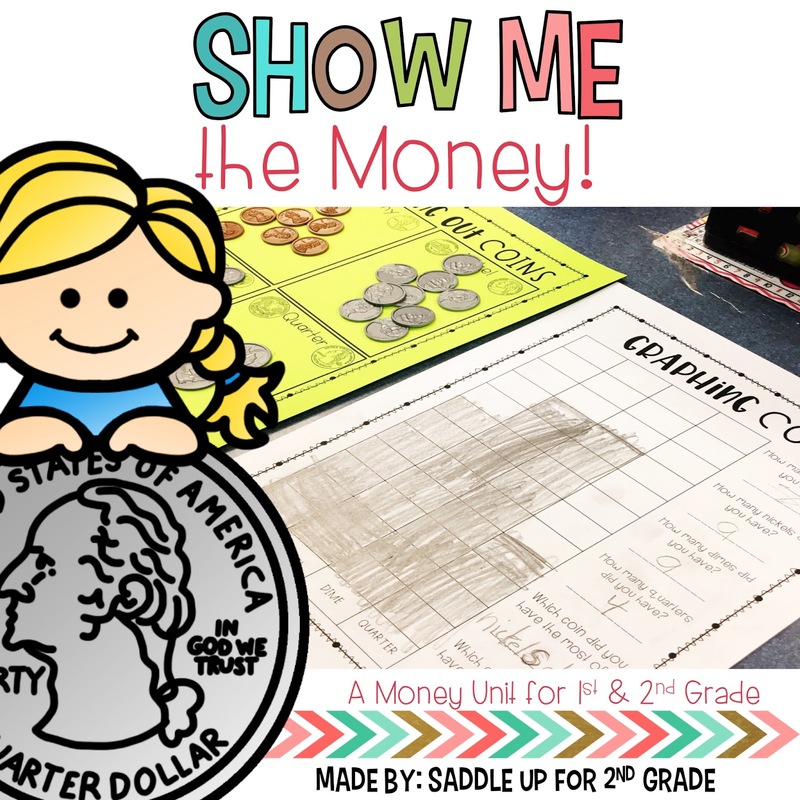 This fun concept provides a great way for students to make connections while learning about money. 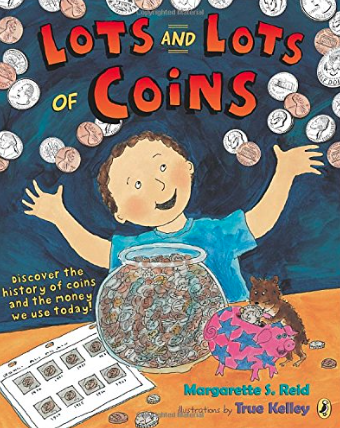 Lots and Lots of Coins by Margarette Reid is about a young boy and his dad’s coin collection. It shares a lot of fun facts about the history of money. Who doesn’t love National Geographic? 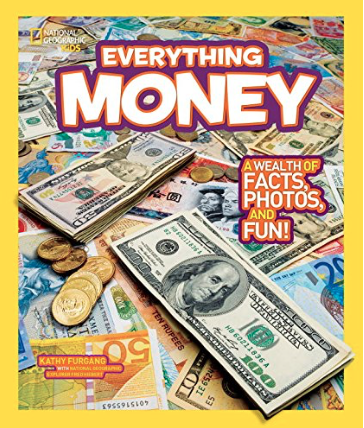 Their book titled Everything Money provides amazing photos that teaches children about money from all over the world. Pigs will be Pigs is a funny story about a pig family that wants to go out to eat for dinner. 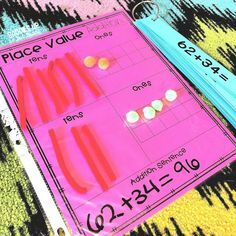 This book provides lots of support for counting coins along with some additional practice that can be found in the back of the book. 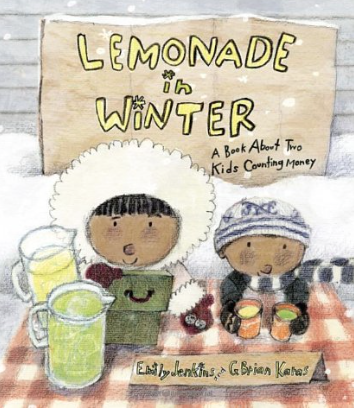 Lemonade in Winter is a cute story about two kids who try to sell lemonade during the middle of winter. 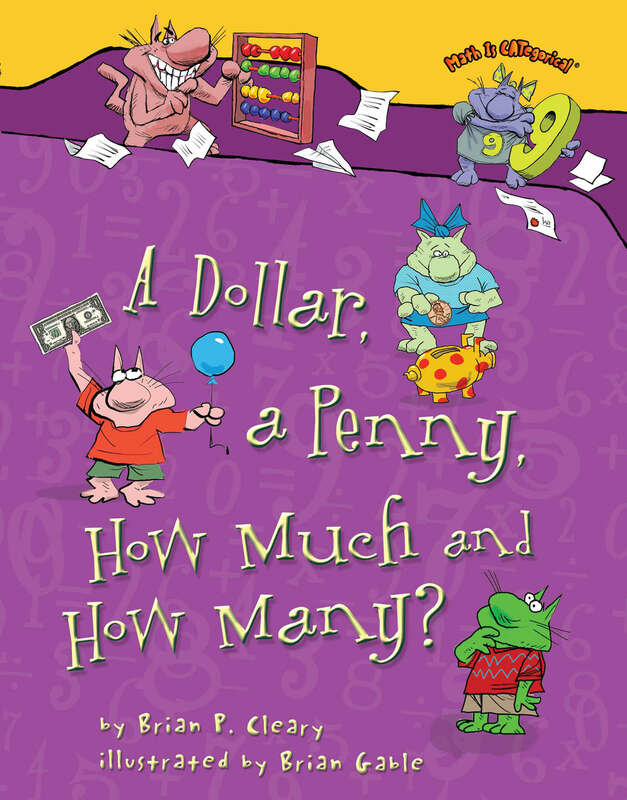 This story will teach kids about early business skills along with counting quarters. 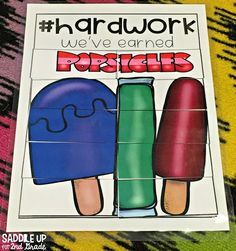 It is a great addition to any money unit. If you want to save these books for later, feel free to pin the image below. 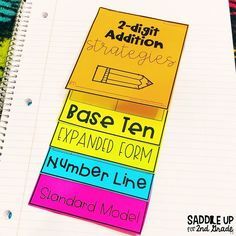 You can also check out my Math board on Pinterest for more great ideas. Other money resources are listed below. Thanks for following along with this series with me. I’ve got a special treat for you. Click HERE to grab an exclusive money FREEBIE! 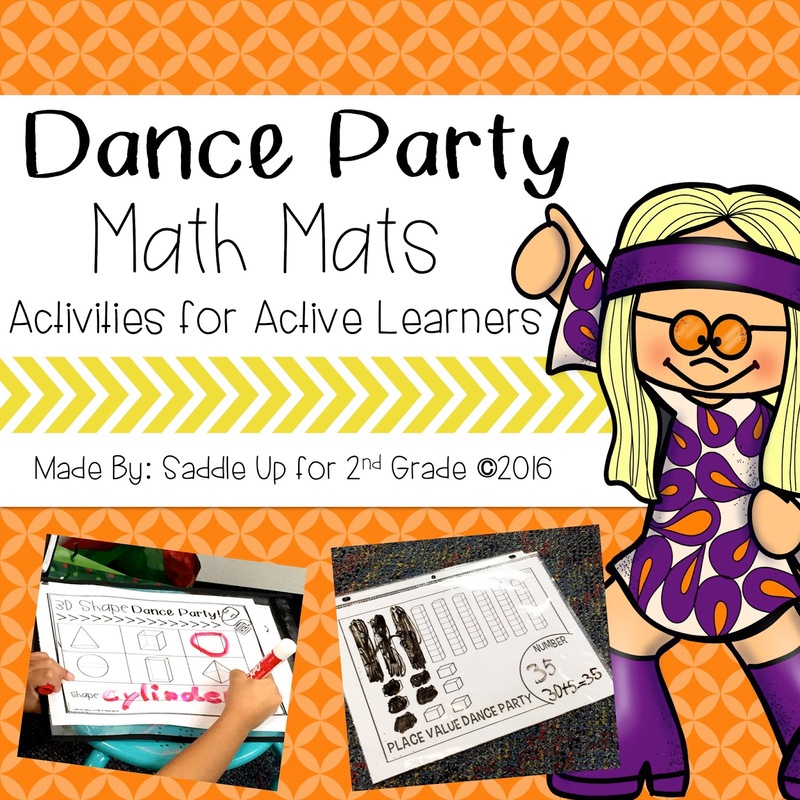 This exclusive resource is also featured in part 1 and part 2 of this series.